Is there any paperwork or document for the mechanical systems of 28 Mcclarnan Rd, Ajax, Ontario? I need more information about the property at 28 Mcclarnan Rd, Ajax, Ontario. How ist the neighborhood, location and nearby amenities for 28 Mcclarnan Rd, Ajax, Ontario? I have questions about the roof, foundation, insulations and mechanical issues of 28 Mcclarnan Rd, Ajax, Ontario? I need more information about property details. What's wrong with this house? Is this a short sale? Is there any maintenance for 28 Mcclarnan Rd, Ajax, Ontario? What is this property worth in today's market? What are "closing costs", and how much? What steps should I take when looking for a home loan? What price home can I afford? Is my credit good enough to buy this house? What are the best mortgage options for me? How flexible is the seller on the asking price? 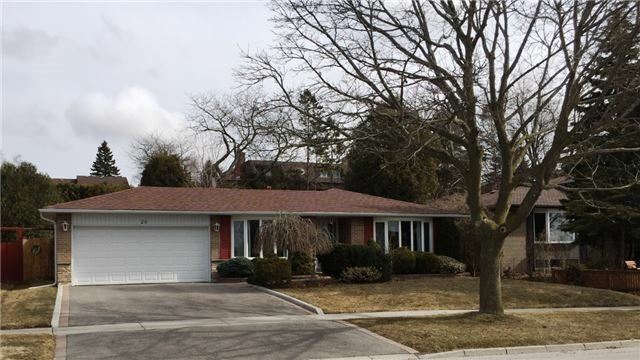 How low can I consider offering for 28 Mcclarnan Rd, Ajax, Ontario? South Ajax Beaches. Steps Away From Beautiful Breathtaking Lake. Natures Beauty. Cottage In The City. Cozy Detached Brick Bungalow In A Highly Sought After Family Neighbourhood. Finished Basement. Good Sized Lot. Double Car Garage. Close To All Amenities. Kitchen R/I Basement. Take Long Walks On The Beach!! !Endless Potential With This Gem!!! 2 Fridges, Stove, Washer, Dryer, Dishwasher, Microwave, Furnace & Equipment, All Elfs, All Window Coverings, Hwt (R), 2 Sheds, Broadloom W/Laid, Wood Burning Stove, Humidifier, Air Exchange Unit, Central A/C.